Sky News have reported on some “internal UKIP polling”, which the say reveals UKIP’s top dozen target seats. Ladbrokes have odds on every seat in Britain and, based on those, we can allocate a probability of UKIP winning each of these twelve seats. The top three in the list are especially promising as there is every chance they could be three-way contests and something around 35% of the vote could win any of those. 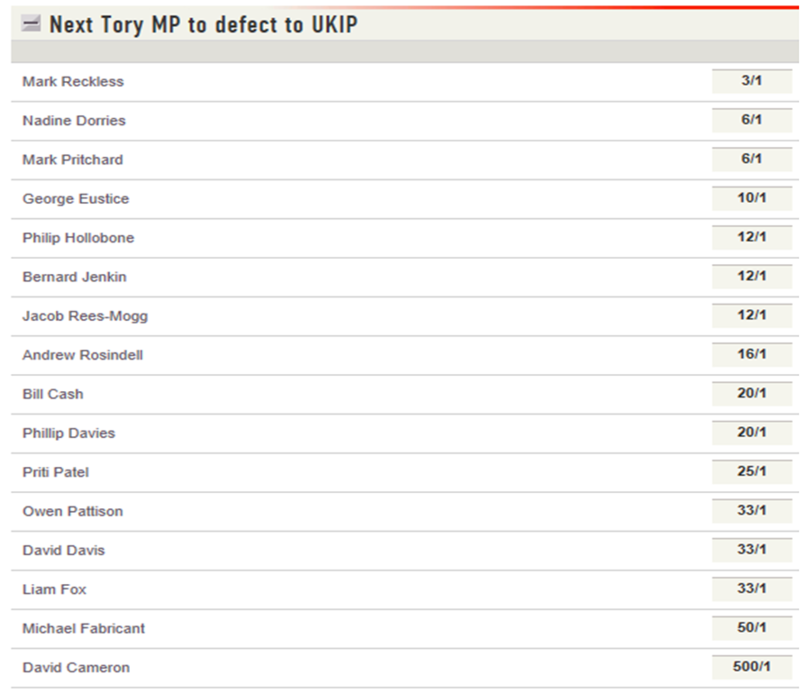 If UKIP high command had just looked at Ladbrokes’ odds, then the bottom four on the list wouldn’t have made the cut. All look like ultra safe Tory seats and it will take a huge effort to win any of these. Aylesbury has a majority of over twelve thousand, but I guess the party are hoping to exploit the HS2 issue here. 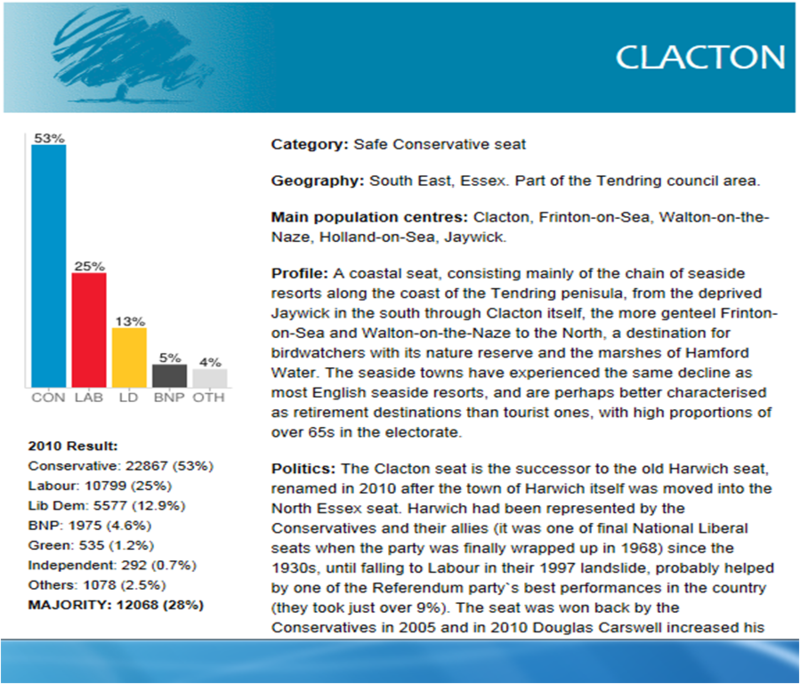 Party workers in Castle Point, Folkestone and Rotherham will be a bit disappointed not to have been included, as the betting would suggest that they are all much better prospects than the likes of Forest of Dean. We’ve got some betting on how many seats UKIP will win in total next year; it’s 5/1 that they manage ten or above. 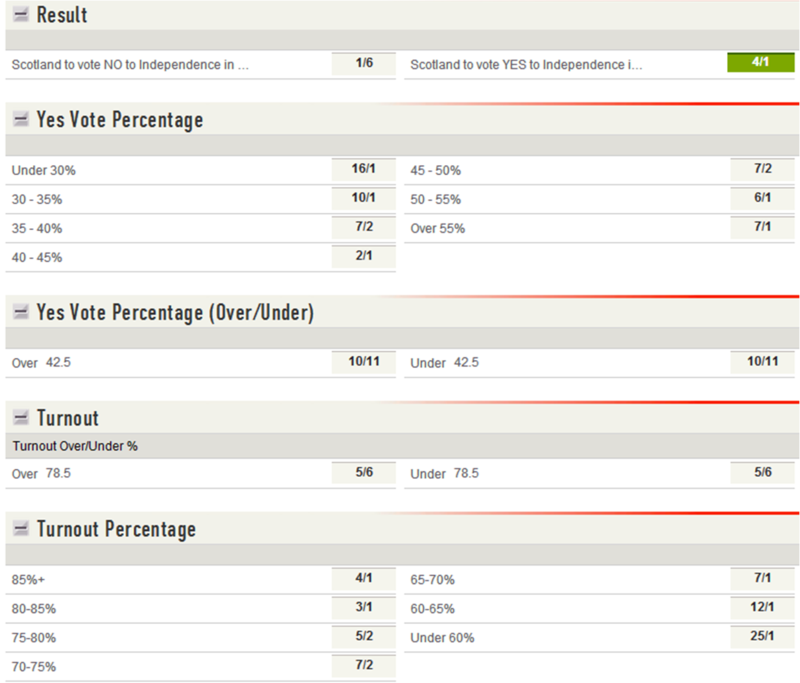 Salmond’s clear cut victory last night saw the odds of a YES vote cut from 9/2 to 4/1 with Ladbrokes. History tells us that any post-debate boost tends to mostly fade away pretty quickly, and there is no particular reason to think this will be any different. The odds on the exchanges dipped a bit immediately after the first debate poll, but rebounded pretty quickly. 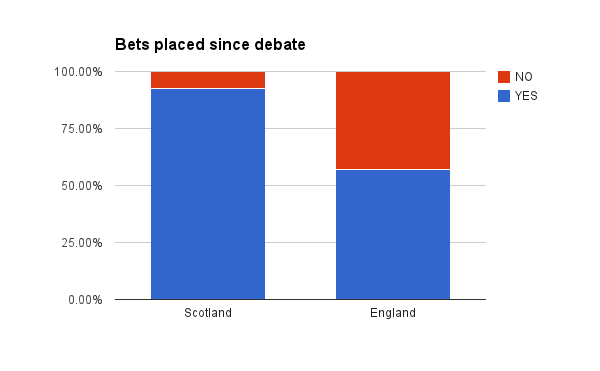 Most other bookmakers also cut the YES price, some to as low as 7/2. The snap ICM poll last night seemed to indicate that it hadn’t changed the overall picture, but it will be interesting to see any polls later this week with fieldwork from the days after. If one of the more YES friendly pollsters is surveying today and tomorrow, it’s not inconceivable that we could see a tie, or even a YES lead. That really would shake the betting markets up. 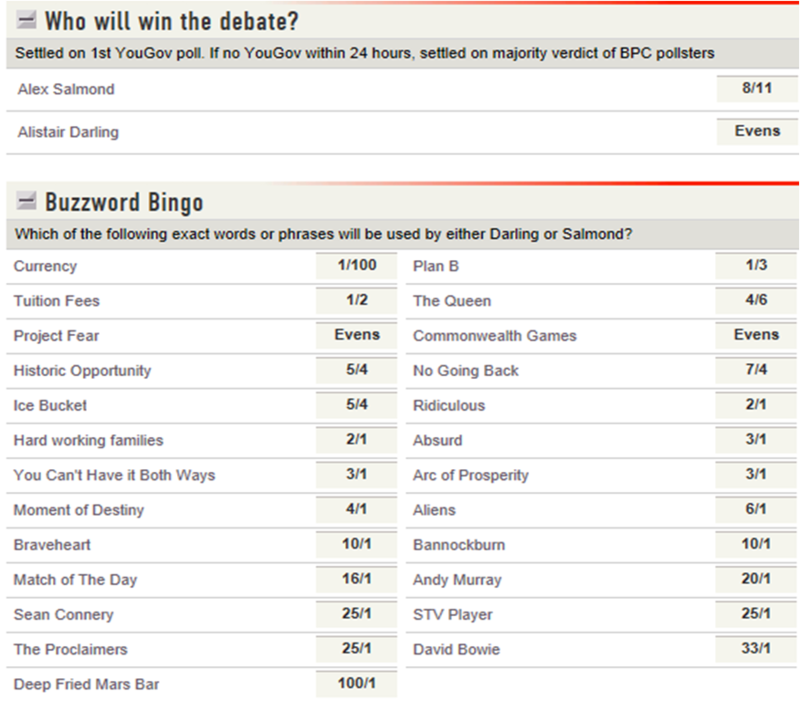 There has also been a flurry of money on a high turnout after Salmond’s confident prediction that it would be over 80%. The odds of it being between 80 – 85% were cut from 7/2 to 3/1. 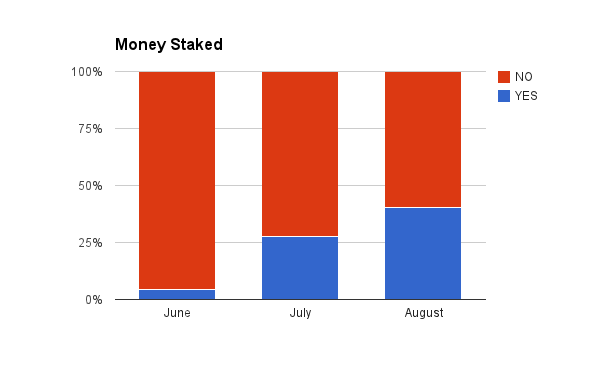 I’ve written some more about turnout betting here. Even though a NO vote would suit Ladbrokes’ betting position more at the moment, we were quite pleased that Salmond won as it helps keep interest in the outcome high. Another Darling victory might have sucked a bit of life out of the market. 1. The £600k punter. William Hills have reported that they’ve taken £600k from just one client on NO. That bet alone will have had an impact on the whole market; Hills can push their YES price out as a result, other companies have to do the same if they want to compete for that money. 2. The Exchange market. If we simply reacted to the supply and demand of our customers, our prices would quickly be out of line with the betting exchanges, opening up arbitrage possibilities which would quickly be exploited, with the odds settling down at a marginally lower price for YES. That doesn’t mean the exchange price is necessarily the “true” one, because in this market in particular, I think we are talking about two totally different categories of investor. Maybe the Scottish high street betting shop punter is actually better placed to assess the situation that the broader based exchange client base. I’m more of the opinion that you’ve got a better chance of coming to an objective view on the probabilities by being removed from anecdotal “on the ground” evidence. 3. Oddsmakers have taken an opinion. Probably the most important factor. To be totally honest, we are of the belief that a lot of the YES money is motivated more by optimism and confirmation bias rather than the hard evidence of the polls. So we’re taking it on. Opinion pollsters and bookies alike will be taking a hit on September 19th if the Scots have voted for independence.